What Running Has Given Me. 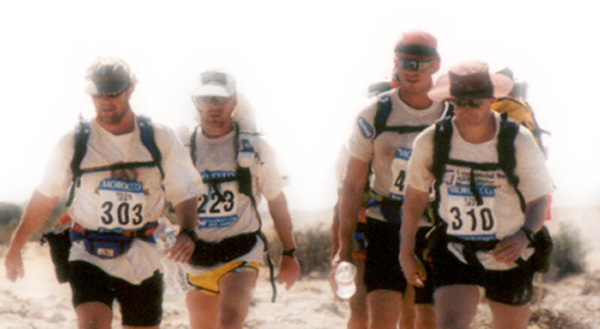 1999, #223, Marathon des Sables, the 55 mile stage, with members of the British SAS and the Queen’s personal security detail. In reflection on the endurance lifestyle following the bombing at the Boston Marathon I thought about what I’ve been given from endurance sports and running. When I was a kid I was so overweight they put me in a special education phys ed class. I started running. I lost weight. Running made me thinner and more fit. It gave me self-esteem and taught me to believe in myself. More importantly running taught me that what you put in, you get out in roughly equal measure. There are few bargains in life more straightforward than running. As a young teenager that was a valuable life lesson. Running gave me that. When I couldn’t run in my early 20’s following a ski accident running taught me to keep going so I bought a bike. I won four state cycling championships and raced bikes in Europe. So running gave me that. When I joined the Army and went to basic training I had an easier time than the other guys so I was able to help them out in training. I already learned that the toughest part of completing anything is simply not giving up. I was the honor graduate from our basic training and AIT class. So running gave me that. Left, somewhere in Ohio, 1986. Right, Kona pier, Bud Light Ironman Hawaii, 1986. After I left the Army I started my own business and learned what it really meant to work, something I knew how to do from running. So running gave me that. When I met people who had never exercised before and didn’t know where to start I could help them and inspire them and empathize with them. So running gave me that. When I saw a story in a magazine about a 152-mile running race in the Sahara desert it sounded impossible. Running taught me there usually is no such thing as “impossible” so I went there and did it. The Discovery Channel followed me during the race and put me in their documentary about the event. So running gave me that. 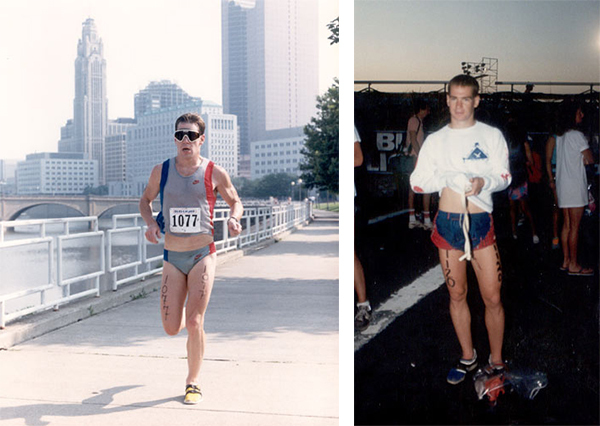 Over the next 20 years I raced endurance sports on every continent, from Africa to Asia, America to Antarctica. I saw things people only see on TV and movies, did things people only read about in books. I travelled the world. So running gave me that. When I climbed the highest mountain in the western hemisphere I was the only person on our climbing team to make it to the summit. My guide told me it was because I was fit and moved fast. So running gave me that. When my best friend was killed on his bike by a drunk driver riding home from my bike store I was depressed and thought I had lost everything. My friends Mike and Kim said maybe I should go for a run. I did. It took more than a few runs but I realized the friend I lost would have wanted me to keep going, so I did. So running (and my friend) gave me that. The wire and plastic spider that lives inside my heart. 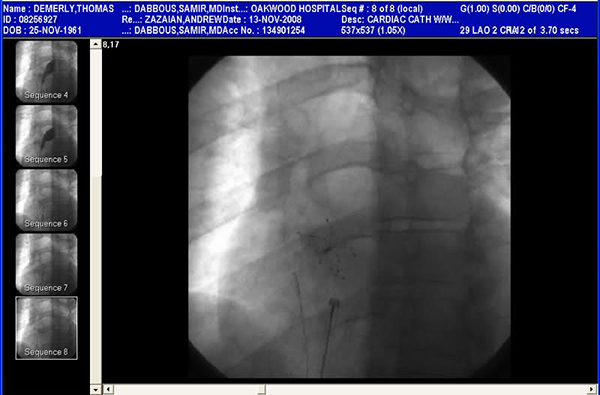 Installed by Dr. Samir Dabbous of Baghdad, Iraq to prevent another stroke. It works perfectly. I had a stroke when I was running and suffered brain damage and vision loss. The doctors told me that if I hadn’t kept running the damage may have been worse. I may have even died. They fixed the problem that caused the stroke by putting a patch inside my heart and said the procedure was easy on me because I was in good shape and it may have saved my life. So running gave me that. After I had my stroke and a patch put inside my heart I was afraid I was permanently broken and couldn’t run anymore. But I remembered that sometimes when you are running and you feel the worst you simply have to keep putting one foot in front of the other, so that is what I did. Soon I was running again and I knew having a stroke did not change me one bit. So running gave me that. When the recession came I lost everything and had to start over on the other side of the country with nothing in a new place and a new job. I learned you are only as good as your last run and, since my business didn’t end very well partially from my mistakes and partially from the recession, I learned I better keep running. So I did. Running gave me that. When I wanted a new job and a better life I remembered that, in running, sometimes you have to go out of your comfort zone so I did. I got a much better paying job and moved to a nicer place to live. So running gave me that. I’ve never been a very fast runner or a very good runner, but I’ve never given up. That was one of the first things I learned about running: don’t give up. So running gave me that. 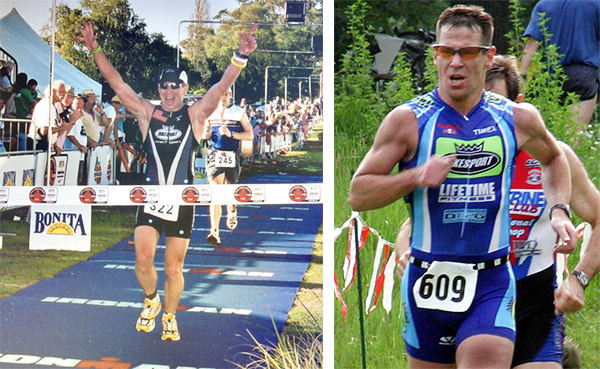 Left, Ironman New Zealand, right, Ann Arbor Triathlon.